I really like looking at how other people decorate and design their spaces. It doesn't matter if it's some one's house, or yard, or even classroom or office. I like to make the most of my space and try to keep it looking good. I get inspired by other's ideas, and hopefully make my space even better and more appealing. With that in mind, I'd like to try my first attempt at creating a Linky Party. Only this is more of a tour than a party, as we will be viewing school counselor offices. Before I post pictures of my space, let me describe it a little. 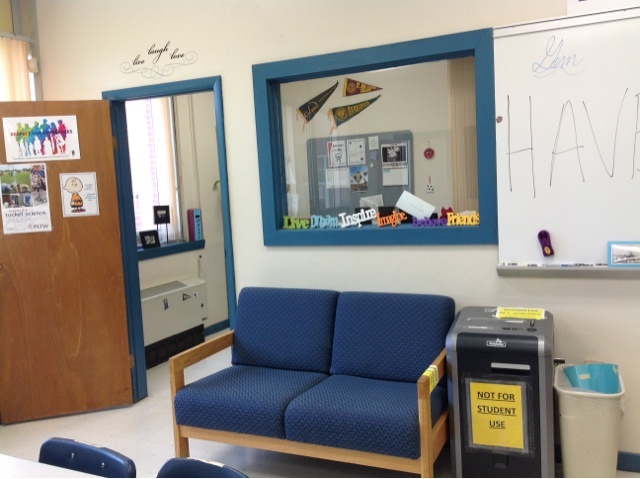 We have one suite/conference room with counseling offices on both sides of this shared space. 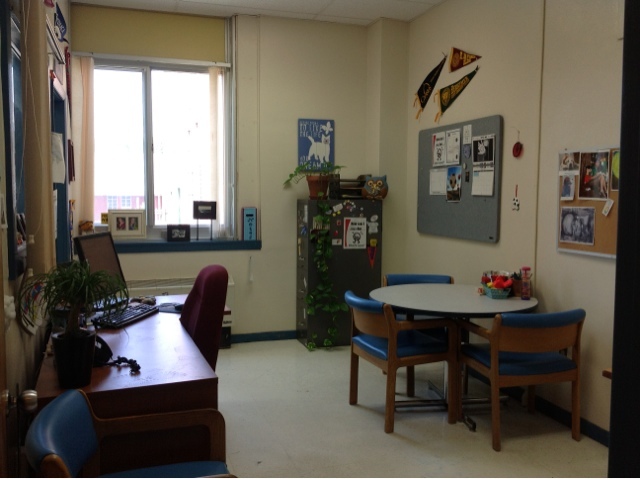 This past year, I shared this space with 2 part time psychologists who shared the other office. Next year, however, I will be neighboring with a teacher trainer for literacy, as our psychologist was able to move into a larger room where she hopes to have space for yoga and meditation. Here are some pictures of my space. This is the shared conference room. I have Lunch Bunch at this table, as well as other small groups. This is my office. I love the bookcase. Plenty of room for storing things! So, have a space you want others to see. . .link up. 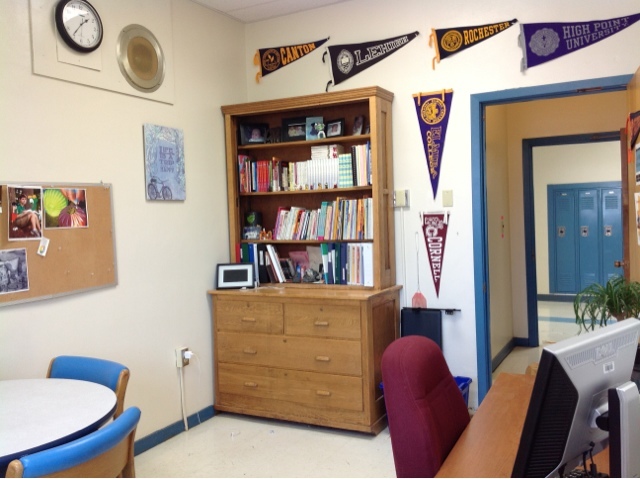 Just create a blog post titled "School Counselor Office Tour 2013". Place the Linky Tour logo at the top of your post, take pics of your room, and submit your blog post link below. Just be sure to link your blog post and not your homepage. Not a blogger, just email themiddleschoolcounselor@gmail.com with a few photos and I will add them to another post. Thank you so much Liz! I am honored! I can't wait to participate. 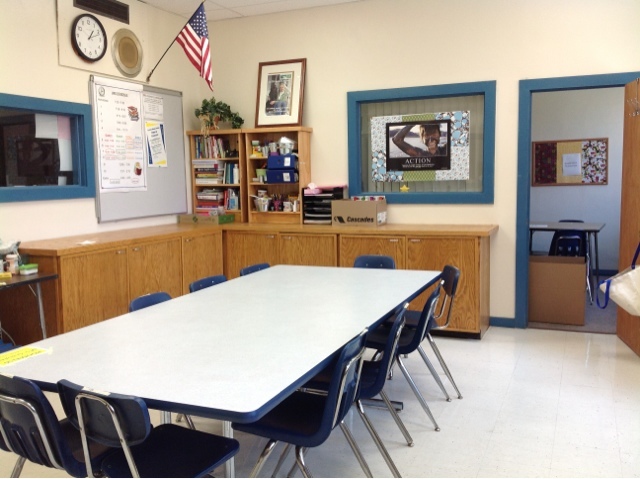 Thanks for visiting my blog. . .and classroom spaces can participate too! Carol, love your space. My school district has enforced a " fire code" rule that only allows staff to cover a small % of your walls. Additionally the rule does not allow things to hang from the ceiling. I have had to be very creative in decorating. 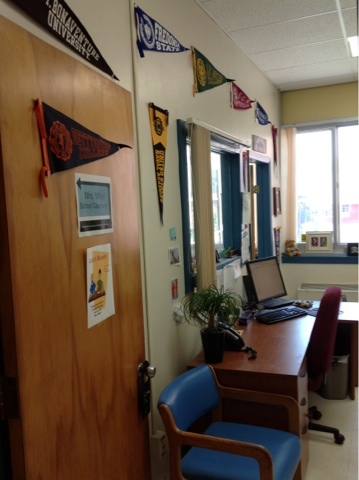 It is great seeing how other counselor's decorate their office. Thanks for ideas. Thanks Amy! I really feel fortunate to have the space I do. I really have tried to make it my own, and not just use what was there before. Hi Carol! Thanks for the invite to the Office Tour. My blog doesn't allow me to put the Linky Tour logo on my page, but I linked it to this post! When I take photos of my actual office, I'll link it to this too. Very cool Kayla! Can't wait to see more pics!